Before reading this article on the Best Crossfit Shoes, some may ask the question: what is CrossFit? As defined by the website Crossfit.com, “CrossFit is constantly varied functional movements performed at high intensity. All CrossFit workouts are based on functional movements, and these movements reflect the best aspects of gymnastics, weightlifting, running, rowing and more.” It is important to understand what CrossFit is and how it differs from other methods of exercise. Like all exercise, it is important to wear athletic clothing that is non-constrictive, comfortable and helps you perform the action you are attempting to do. CrossFit Shoes vs. Regular athletic shoes. Is There a Difference? The best low-profile of the New BalaNew Bnce Minimus 20v5 combines both a soft, squishy feel along with a stiff sole as well. It is thin and flexible, able to be used as an all-around CrossFit shoe, from lifting and squatting all the way to more cardio based movements, such as running, rowing, and double-under’s. The New Balance Minimus 20v5 features an asymmetrical collar, helping to fill the space between both sides of the ankle for a more natural fit. The tongue is a burrito design, providing the best locked in fit when wearing or exercising. The outsole is VIBRAM, a trademark brand offering durability, grip, and also extending of the life of the sole. 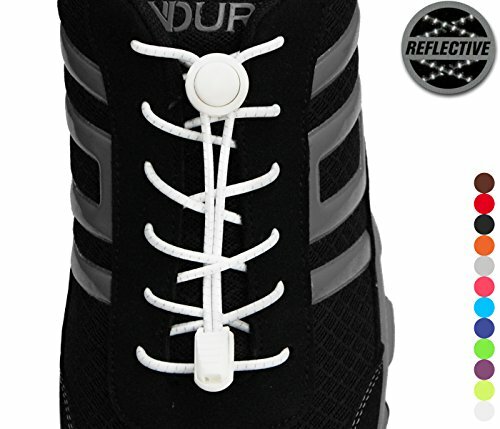 This shoe is great for anything in the gym without a flashy appearance. While this shoe is an all-around package, it lacks in features such as style and looks. The shoe also runs a little large, so sizing down a half step can sometimes confuse foot feel. These shoes are a great entry-level option, and for those looking for an all-around experience receive great treatment from the Minimus 20v5. 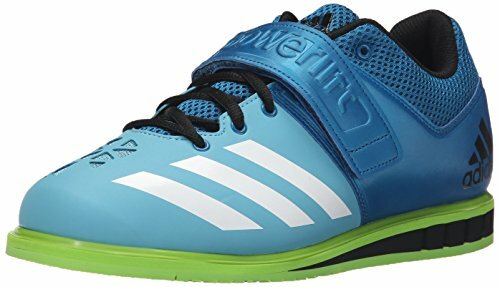 This weightlifting shoe is a great option for those looking to primarily focus on weightlifting. Combining security, flexibility, and comfort like few other shoes are able, this design is the best powerhouse in the market of CrossFit shoes. Built specifically for the weight room, these shoes contain patented PowerTruss heel tubing to combine a stable, yet lightweight base. The toe box is wide for spreading toes during lifts, and a max-traction outsole is present to stay planted. Grooves in the forefoot fit naturally, combining max comfort when lifting. The Inov-8 is the best choice for those with feet that have a minimal arch, and need a shoe with minimal support in the sole. Some complain about the loss of stability with such a lightweight shoe, but it is all about personal preference. Another downside is the lack of color options available, coming in just a few colorways. Also not being a shoe brand giant means that people are less likely to try these shoes, so the popularity decreases slightly from other brands. 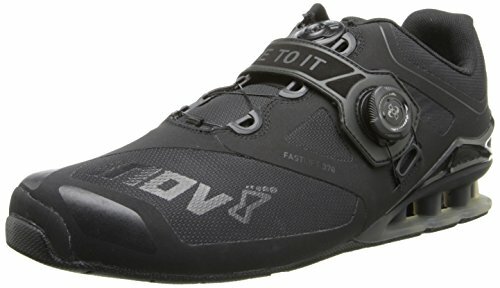 All in all, a great shoe for those looking for weightlifting performance and lightweight exercising. An old-school throwback, the Powerlift.3 provides the best features to Crossfit weight training. Including an open forefoot combined with a flexible toe design, these shoes provide the best comfort and breathability. The lightweight upper gives strong durability and support without adding extra weight or bulk. Included in the midsole is a wedge and an anti-slip rubber outsole, stabilizing your stance when in lifting position. A synthetic leather upper provides ankle support and durability in the rear, while an air mesh collar, tongue and lining provide ultimate breathability, keeping your feet dry and non-slippery when lifting or exercising. These shoes are also extra wide fit for inreased comfort, giving feet room to wiggle and stretch. The only con of this shoe seem to be its fit, being a bit wider than other shoes. Athletic brand giant Nike throws its hat in the ring with the Metcon. The Metcon 2 is stable and strong, able to withstand incredible abuse under load. The Metcon 2 has a streamlined design, combining an abrasion-resistant film over the midfoot to keep them working for as long as you do. The Metcon 2 has a flat platform for staying planted, and a firm rubber heel gives power and stability for explosive lifting. The heel clap is zero-drag, meaning it is ideal for wall exercises like handstand pushups. Sticky rubber provides outstanding traction, while a wide inner platform provides natural toe room and spread. Thin rubber also is present on the midfoot to give durability during rope exercises. Most of the wear and tear comes in the toe box, while some complain ripping only after one or two workouts. Nike’s incredible return policy has you covered, but the quality might be the only thing in question with the Metcon 2. Arguably the face of CrossFit, Reebok CrossFit shoes are known for their nearly flawless design and reliability. Most athletes at the CrossFit Open sport these bad boys, trusting their strength and durability when exercising. These are the sixth instalment of the famous Nano, getting refined and improved with every model. With Kevlar reinforced upper and incredible breathability, this shoe adds max comfort with a tight fit as well. Perfect for lifting, box jumps, burpees, or anything that comes your way when doing CrossFit. Coming in with one of the lowest drops and flattest soles, this shoe is perfect for doing CrossFit. Some say that the shoes may be too extreme, saying not enough support is provided when doing exercises besides weightlifting. 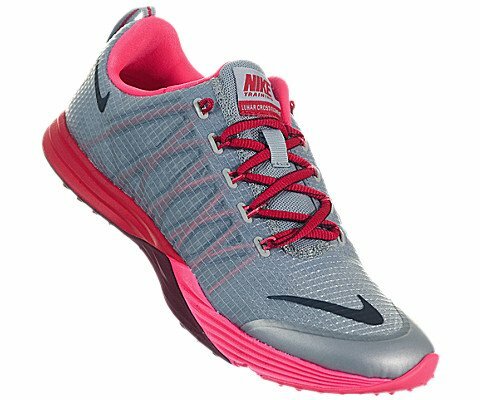 Very similar to the Nano 6.0, this edition comes in more feminine color ways, including flashy colors such as pink or light blue. The extreme comfort and durability still stands, this edition is a more well-balanced edition, suited for an all-around CrossFit experience. Including a higher drop than the 6.0 and RopePro exterior protective wrap, this shoe gives women the edge when performing. The only negative is it is an outdated edition, meaning availability might become limited in coming time. Get them while they’re still good. PUMA has decided to step into the CrossFit shoe ring, making a universal trainer shoe intended to work in any part of the gym. The comfort of this shoe is what is most talked about, featuring a more padded heel for more support. 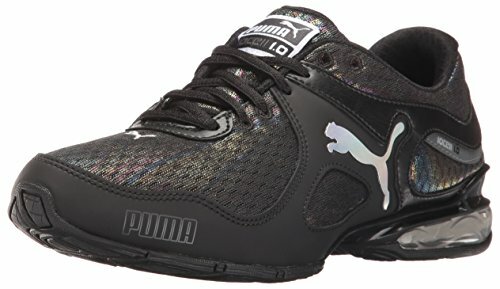 Featuring flashy, stylish color ways as well, this shoe is PUMA’s answer to CrossFit shoe giants like Reebok or Nike. This shoe features an extremely comfortable and snug fit with an excessive amount of cushioning, yet still maintains a durable and heavy-duty design. The heel is raised for optimal performance in certain lifts such as deadlifts or squats. This shoe is built for those with more narrow feet, so a wider foot may experience a slightly greater level of discomfort when wearing these shoes. Featuring zero drop, the Bare-XF 210 is perfect for a strict weightlifting schedule. On the track, it shines during sprints, making every step count with a flat sole. Weighing less than most CrossFit shoes and having great colorways and smooth style, the Bare-XF 210 does its intended job well, pushing your limits farther and farther. Despite its lightweight, the materials are still incredibly durable and well suited for sprints or rope climbing. For those looking for a barefoot workout effect, this shoe still contains a padded insole. Not as minimalist as some of the newer models, but the Bare-XF still can compete on the same level as other shoe giants. Different from the Nano, this lesser known Reebok little brother is still a force to be reckoned with. Featuring a slim fit toe box design with a flexible sole, this shoe checks all of the boxes when it comes to great workout shoes. This shoe can handle anything thrown at it with ease. The only area this shoe may decline in is heavy lifting, featuring a softer sole, making it hard to keep weight balanced in the back of the heel. 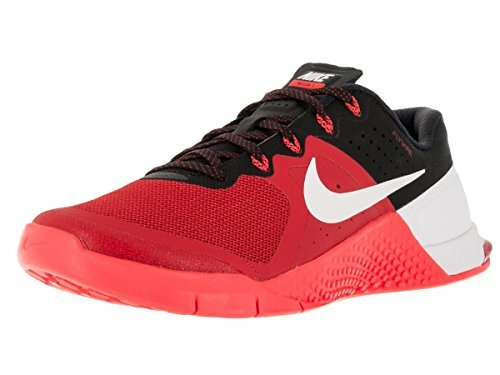 These are great shoes for intense workouts, including light and moderate lifting with any other CrossFit exercise such as running, jumping or gymnastics. Built for a CrossFit training element, this shoe does incredibly well when doing explosive exercises such as plyometrics, double unders, and sprints. This shoe also does well for jump exercises due to its soft midsole, making it a great a cross training shoe. The only downside is its lack of performance in a serious weightlifting environment. 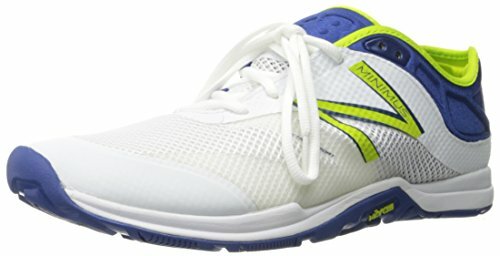 When looking for a great shoe to use inside or outside of the gym. One of the first things to keep in mind when shopping for CrossFit shoes is personal preference. The consumer must determine what the most important aspect in a CrossFit shoe is and go from there. 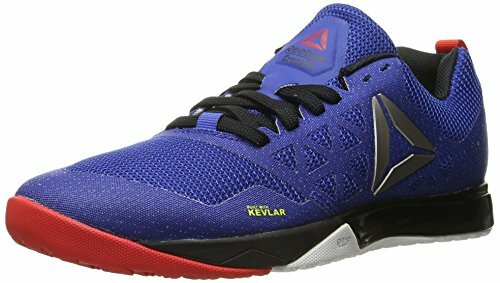 If looking for a heavier weightlifting regimen, it may be smarter to take a flatter sole’d, lower dropped shoe such as the Reebok Nano 6.0. When looking for a cross trainer with an all-around great performance, the Minimus or the Metcon may be the way to go. It is all up to you to determine the direction you want to turn, so try out a few different options before settling on a final one. The right shoes can take your CrossFit into the next world, so choose wisely, and choose what makes you happiest! One article of clothing that is absolutely essential to a CrossFit workout are Cross Fit shoes, designed specifically for the sport of Cross Fit to make the athlete perform at a higher rate. CrossFit shoes aid in activities such as weightlifting, keeping an athlete planted firmly to the ground to use their muscles to the fullest extent. In the CrossFit Open, athletes exclusively wear these shoes in order to compete in categories such as CrossFit weightlifting or CrossFit exercise. Shoes keep an athlete mobile, and also aid to prevent foot pain or injury. CrossFit Shoes vs. Regular Athletic Shoes: Is There a Difference? It is considered, good practice to always wear appropriate shoes when doing physical activity, but do regular old tennis shoes provide the same sort of comfort and practicality as specially designed CrossFit shoes? 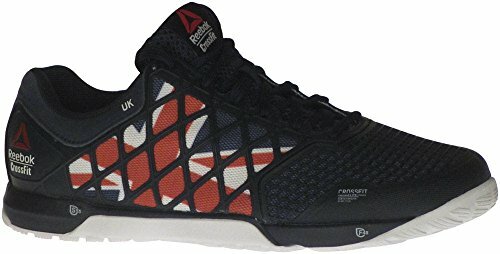 All CrossFit athletes can be seen wearing CrossFit shoes, typically from Reebok CrossFit or Nike, so it may be safe to assume that these shoes are the correct option when choosing a shoe to exercise with during CrossFit exercise. Below are some of the things to look for when buying a CrossFit shoe. To be fair, there are not enormous differences between Best Crossfit Shoes for men or women. Both genders use the same principles when wearing CrossFit shoes. The important thing to remember is the intended actions. If going for a more lifting oriented CrossFit workout, it may be better to use a harder sole, smaller drop, and less cushioning. When running and endurance training takes more precedence, find a shoe that has a milder drop and more cushioning. There are options for every type of CrossFit athlete depending on your desired effect, so whether male or female, make sure to pick the right shoe for your schedule. This measures the difference between the height of the forefoot and the height of the heel. Running shoes are designed to have a very large drop in order to guide feet. For CrossFit, shoes with a lower drop, typically 4mm, are the better answer to use when performing CrossFit weightlifting such as squatting or Olympic lifts. This is a comparatively more relaxed and natural foot position, especially when doing Cross Fit. 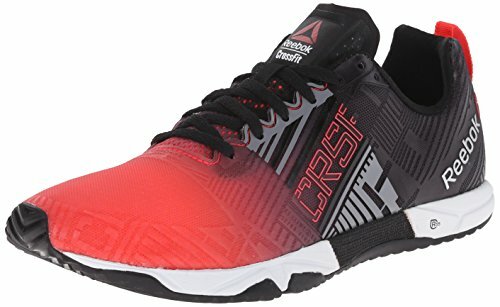 When first attempting to buy a pair of CrossFit specific shoes, it is important to follow a few steps when searching for the right shoe for you. If coming from a more padded shoe or have foot issues, start in a shoe with a medium drop (maybe 6mm) and slowly work your way down to a lower drop. CrossFit shoes require stability in order to perform a CrossFit workout. When weightlifting with regular athletic shoes designed for running, it may feel like the floor beneath you to be soft and squishy, something not beneficial when lifting an incredible weight. CrossFit shoes keep your feet connected with the ground and increase stability despite the heavy load. When choosing the hardness of the sole, it is purely up to personal preference how hard the sole may be, so be sure to try on a few options to determine what may be most comfortable and effective. CrossFit workouts involve more than lifting and weight training. CrossFit athletes must be prepared for any type of activity, such a rope climbing, trail running, or doing a maximum load lift. The durability of the shoe will help in performing these tasks. Traction on the top of the shoe must also be included, as well as a “cage” around the middle foot and toes sections. 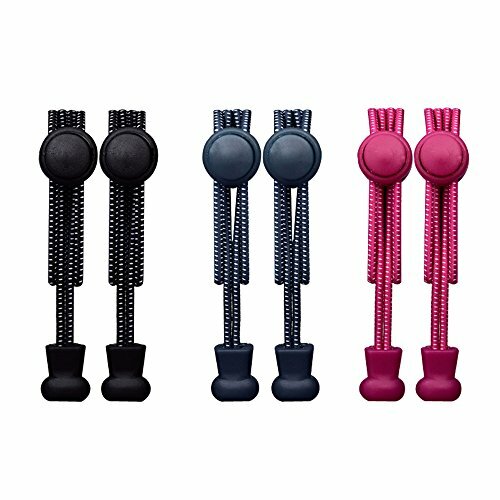 This support helps grip ropes, and also allows for the reinforcement of proper alignment with doing squats. One last important issue, and arguably most important to some, is how do the shoes look? CrossFit shoes are known for their style and colors, easily visible when working out. Finding a shoe that looks good in and out of the gym will provide maximum happiness.